1. For the pesto, add the basil, pine nuts, parmesan, garlic, and salt in a food processor. Pulse until finely chopped. Slowly add 1/3 cup olive oil while machine is running, pulsing until pesto is creamy and blended. 3. 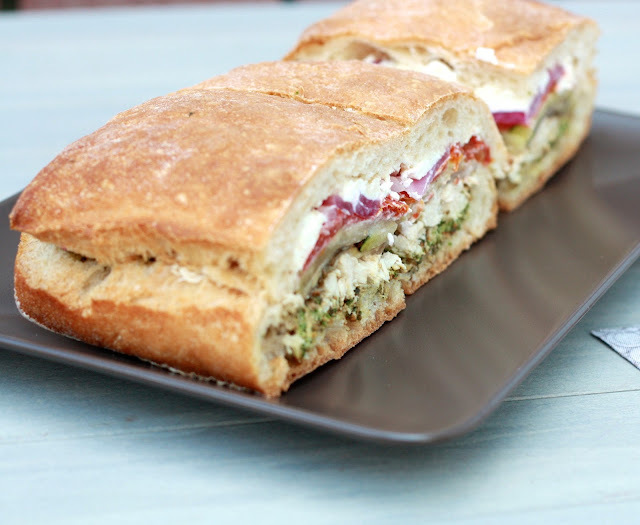 Cut the ciabatta in half and use your fingers to tear out some of the insides to create a "hole" to place ingredients. Divide the pesto evenly and spread over each half of the bread. 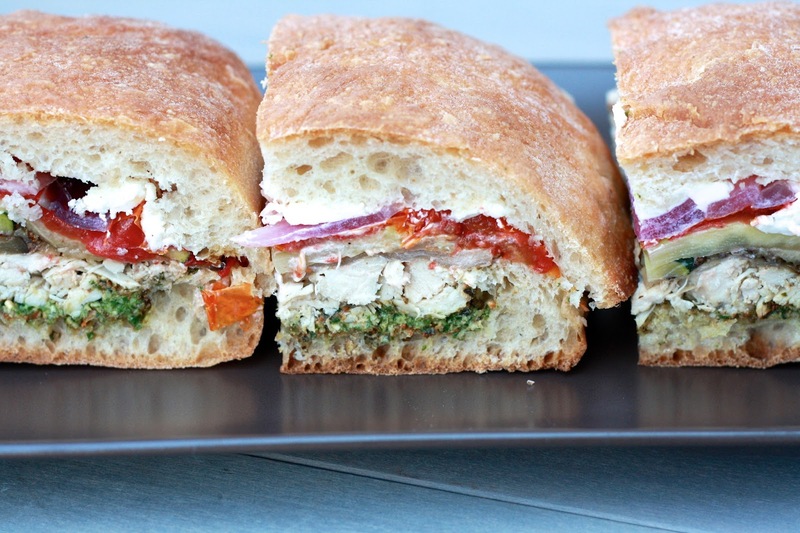 Layer the bottom half with chicken, roasted vegetables, and goat cheese. Grind black pepper over to taste. Close the sandwich and press down firmly. 4. 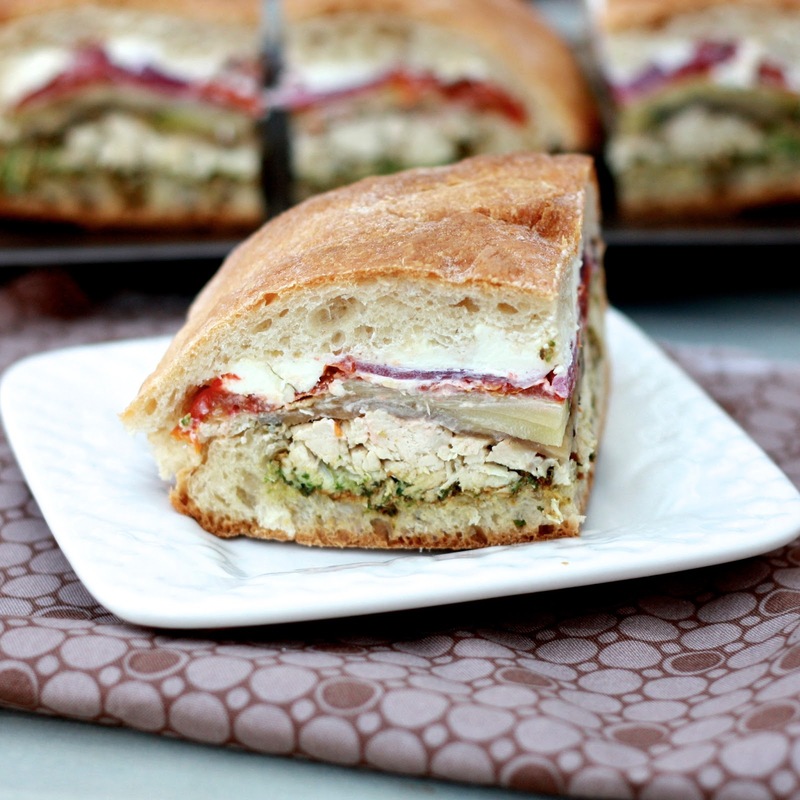 Wrap the sandwich tightly in plastic wrap and place in the fridge. Place a brick or something heavy on top of the sandwich to flatten for at least two hours, or overnight.